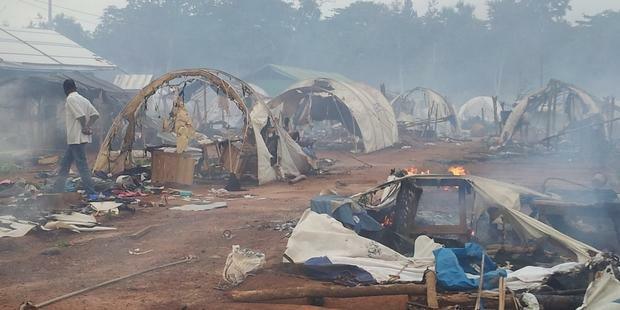 On 20 July 2012, Nahibly Camp, home to an estimated 2,500 internally displaced persons was attacked and destroyed by local townspeople, Dozos (a state-supported militia) and elements of the Ivorian army (see video below). UN soldiers and police personnel posted at the camp failed or were unable to stop the attack. One year later, the Ivorian authorities have made little progress in investigating crimes committed alongside the attack. Amnesty International remains concerned that the government has failed to hold any members of the armed forces or the Dozo militia accountable for violations committed, including crimes against humanity.